For catering the variegated demands of our respected clients, we are highly engrossed in providing a wide range of C Type Power Press. 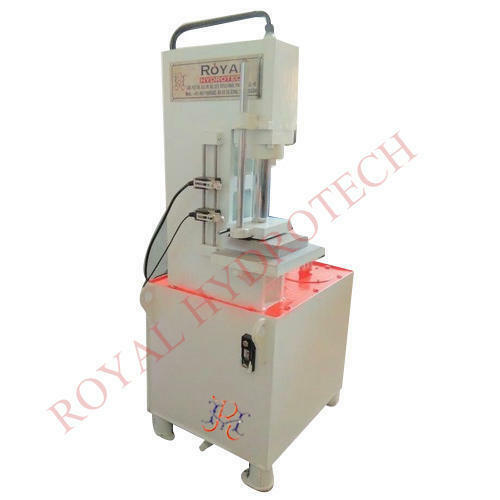 Established in 2016, Royal Hydrotech from 2016 are a leading Manufacturer, Buyer-Company and Service provider of a broad range of Hydraulic Machine, Power Press Machine and many more. Offered products are highly appreciated across the market for their damage resistance, low maintenance, and longer service life.. Over the years, Royal hydrotech has specialized in providing tooled-up, dependable hydraulic press solutions to meet customers specific requirements. Modern technology and specialized manufacturing facility enables us to manufacture presses ranging from 1 Ton - 1000 Tons capacity.The company Royal hydrotech is a reputable company that offers a comprehensive range of products and services for all Hydraulic and Mechanical needs for Marine, Offshore Deck, Industrial Hydraulic Equipments, Civil Construction Hydraulics Equipments etc.Royal hydrotech’s solutions include Inspection, Troubleshooting, Repairs and Services, Installation, Commissioning, Testing and/ or Maintenance primarily for the Marine, Offshore Industry, Industrial Hydraulic equipment and Civil Construction Hydraulic equipments.